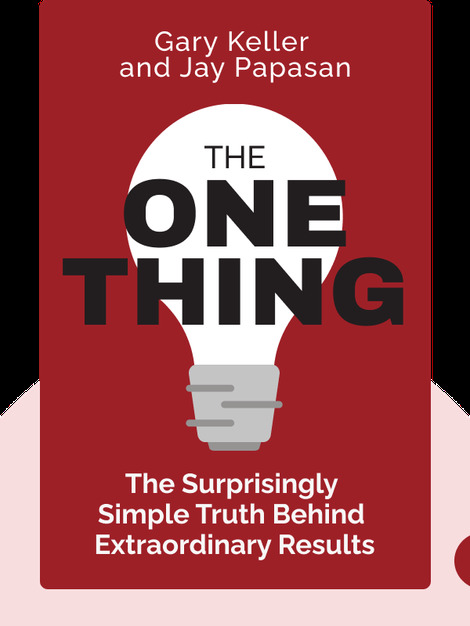 The ONE Thing (2013) helps you to discover your most important goal, and gives you tools to ensure you can use your time productively to get there. 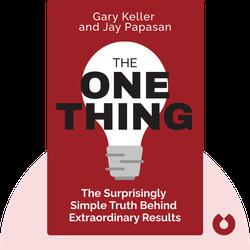 The book reveals that many of the maxims we accept as good practice are actually myths that only hinder our progress. It also provides advice on how to live your life with priority, purpose and productivity without sending other aspects of life out of balance, because this is the way to perform the kind of focused work that leads to great success. Gary Keller is co-founder and chairman of the board of Keller Williams Realty International, a company he grew from a small office in Austin, Texas, to become the largest real estate company in the US. His previous three books formed the Millionaire Real Estate Series and have all been bestsellers. Jay Papasan is the executive editor and vice-president of publishing at Keller Williams Realty, and is the president of Rellek Publishing. He has also co-authored numerous bestselling books, including the Millionaire Real Estate Series.